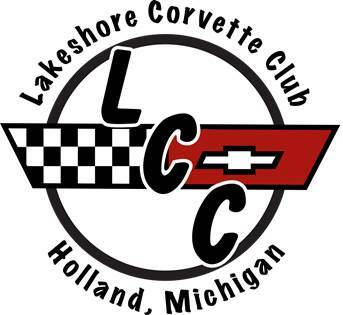 Who is the Lakeshore Corvette Club? We are a group of Corvette enthusiasts who gather in order to promote interaction and social activities with other Corvette owners and share Corvette related information and technical assistance. We were formed in February of 1997, and meet on a monthly basis. Corvettes of all years and in all conditions are welcomed and encouraged! Our members have interests and knowledge over a wide variety of Corvette model years, and many perform various types of maintenance from tune-ups to full restorations. In late 1997 we joined the National Council of Corvette Clubs (N.C.C.C.). This national umbrella organization assists us in sanctioning events; providing event insurance and facilitating interaction between us and other Corvette Clubs in Michigan and throughout the United States. 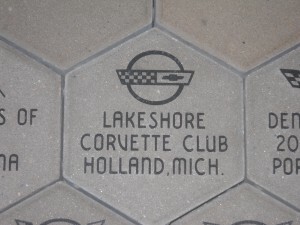 In all there are a total of 15 sanctioned Corvette Clubs in Michigan. Each year we hold a variety of local events such as our Annual Poker Run as well as Rally’s and monthly cruises throughout the summer months. Many of our members also attend major Corvette events such as Bloomington Gold, Chevy Vettefest in Rosemont, IL, N.C.R.S National Convention, N.C.C.C National Convention and Corvettes at Carlisle. We also try to have local events like picnics, detailing parties and tech sessions. Our monthly meetings are held on the second Tuesday of every month all year long. During the summer months, April through October, we meet at Family Farm and Home parking lot around 6pm and leave for a cruise promptly at 6:30pm. Members pay $51 a year for dues for membership in the LCC as well as N.C.C.C Membership. Dues are always due in September of the year and includes our monthly newsletter, as well as an open invitation to all of our events. Joining the LCC is easy; we invite you to visit any of our events and sign up at any time of the year. There is no minimum number of meetings to attend but we encourage you to come to as many as you can.